Released 23 Apr 2008 – Now Available! 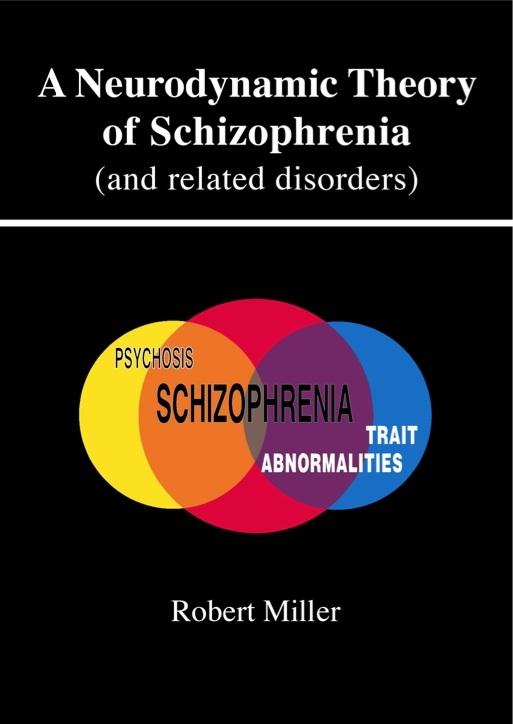 This work, the result of over twenty years of scholarship, presents an integrated theory of schizophrenia (the complex, but not properly-defined mental disorder). It reviews evidence from many fields – biological, psychological, social – and develops arguments which attempt to explain psychological and symptomatic features of the disorder in terms of underlying processes at the neuronal level. The central premise is that the core abnormality lies in the axons connecting together different parts of the cerebral cortex. Normally these have a wide range of conduction velocities (and therefore a wide range of axonal conduction times – â€œa repertoire of delay linesâ€). It is suggested that in schizophrenia there is a relative absence of rapidly-conducting axons, these being replaced by more slowly-conducting ones. Arguments and much evidence are presented to show how this simple premise can account for many features of schizophrenia, in relation to symptoms, sensory perception, motor control, cognitive psychology, linguistics, and (in the biological domain), clinical electrophysiology, as well as brain morphology and cytology. 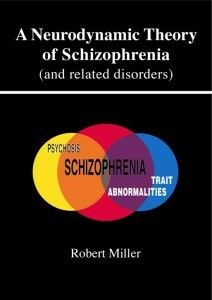 This theory is compatible with other perspectives on schizophrenia – the â€œstress-diathesis model, the neurodevelopmental hypothesis, and the dopamine hypothesis of schizphrenia, and the â€œglutamate theory of schizophreniaâ€ – but incorporates much additional evidence into the theory, and tries to formulate true cross-level explanations. A crucial aspect of this theory is that two, almost-completely separate bodies of theory are required, one accounting for active psychotic illness in terms of overactivity of the central neurotransmitter dopamine, the other accounting for enduring non-psychotic trait abnormalities in terms of the central premise about axons. The most important area in which the two theories overlap is related to the question: â€œWhy are people with all the trait abnormalities associated with the disorder also prone to episodes of psychotic destabilization?â€ Answers to this question are based on the central premise about axonal conduction. Major psychosocial causes of schizophrenia are accepted, along with biogenetic causes of schizophrenia, both contributing to the appearance of the disorder. In the final chapter, reasons are given for suggesting that the psychosocial causes promote the occurrence of psychosis in predisposed individuals, without contributing to the basic constitution for schizophrenia. The book is large and complex, made up of 13 chapters, over 400 pages of double-column text, 23 tables and 31 figures (within the text), about 4500 references, seven appendices (including detailed tabulated data), and subject/author indices (~650 pages overall). Its public launching from the internet-based publisher â€œLuluâ€, is planned for January 2008. Its summary sections, a prÃ©cis of the whole argument, are available here free-of-charge.